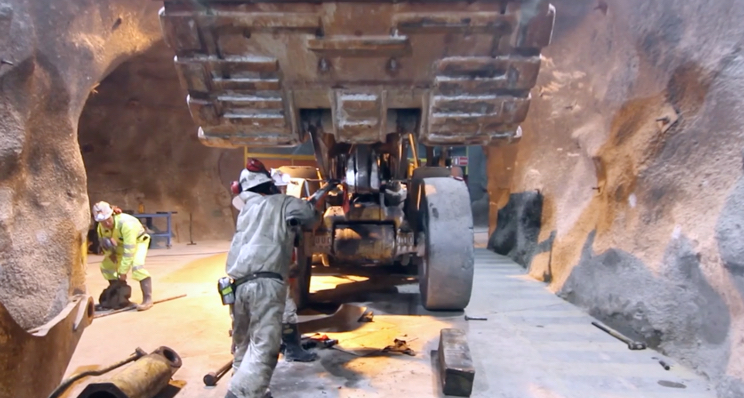 Feb 21 (Reuters) – Hochschild Mining Plc expects production to grow slightly this year as it ramps up output at the Pablo vein at its Pallancata mine in Peru, the precious metals miner said on Wednesday. The company, which also operates in Argentina and Chile, has been spending on brownfield exploration and discovered high-grade resources adjacent to the main Pablo vein in Pallancata. Hochschild said it expected attributable production to rise to 514,000 gold-equivalent ounces this year from 513,598 gold equivalent ounces in 2017. Pallancata is expected to produce about 27,000 ounces of gold and 7.5 million ounces of silver in 2018, the company said. In comparison, the mine produced 23,470 ounces of gold and 5.96 million ounces of silver last year. Hochschild's core earnings fell 8.6 percent to $300.8 million in 2017, hurt by higher costs and its continued spending on brownfield exploration projects. Revenue rose about 5 percent to $722.6 million. The company set aside $10 million for greenfield exploration projects in 2018. Hochschild forecast all-in-sustaining-costs (AISC) of about $960-$990 per gold equivalent ounces, above the $910 it recorded last year.